Patrick Ahern was born in Limerick, Ireland on 17 Mar 1840. His wife Johanna Kane was born in Herbert's Town, Limerick, Ireland in May 1845. They moved to Chicago, IL in 1866/1867. Patrick died 22 Jan 1911 and Johanna died 29 Jan 1906. They are buried in Mount Olivet Cemetery in Chicago. For further details, contact the Chicago Genealogical Society. 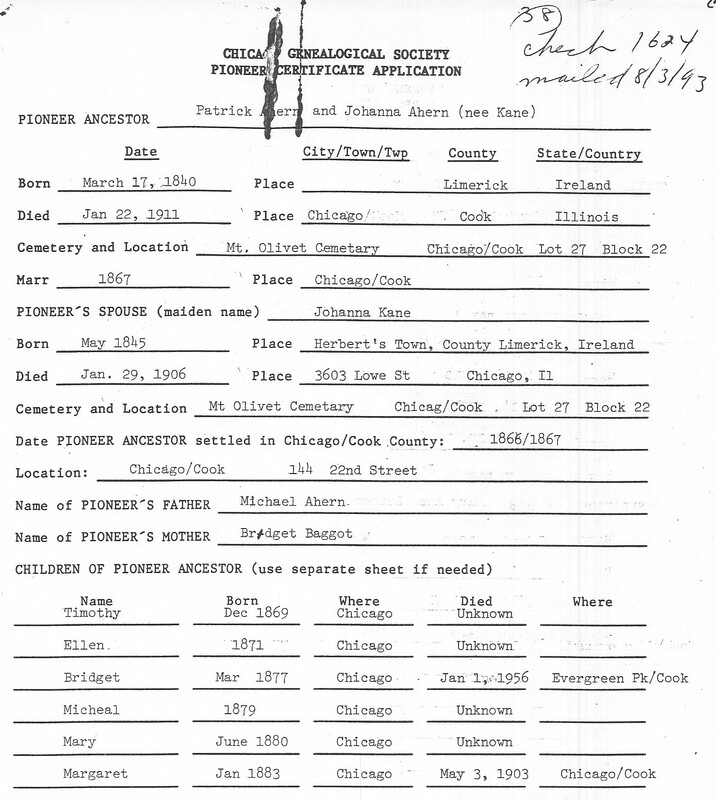 Patrick Ahern is Pioneer Ancestor number 38.